Founded in 1847, the coal-mining plant “Zollverein” in the Ruhr Area in Germany became the biggest colliery in the world in 1932. 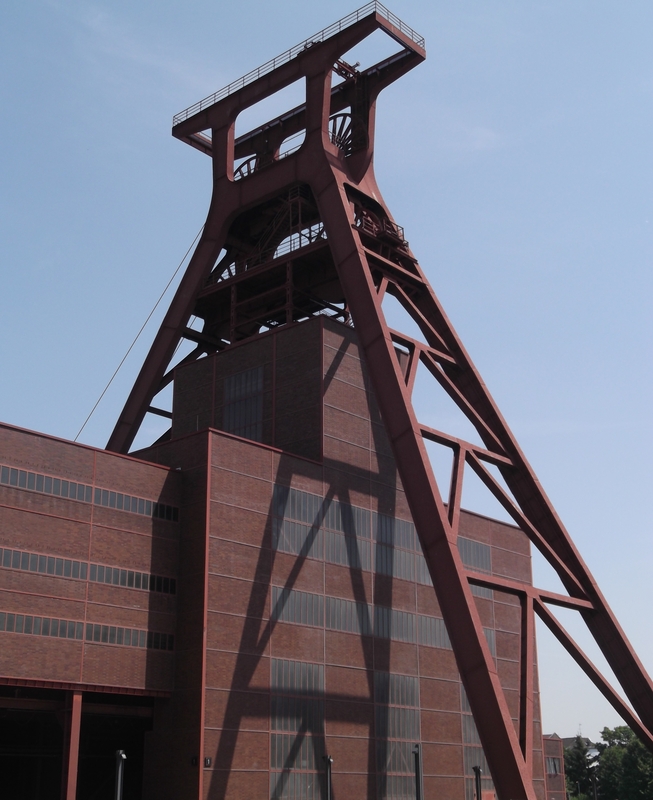 In 1986, the Zollverein shaft sites were closed down. Shortly after, Zollverein was converted into an international location for art and cultural events, while preserving the original buildings. Although it might not be obvious when looking at the photographs of the site, the whole area is illuminated at night and turns into a thriving cultural hotspot. In 2001, Zollverein became World Heritage Site, last but not least because of its Neue Sachlichkeit/New Objectivity architecture.